WADA Not Enough "Bang For Your Buck"? – Former pole vault great and IAAF Vice President Sergey Bubka calling out WADA for not providing enough value for the money they get. Have you ever entertained the idea of getting off the grid? How many people ended up dating and/or getting married at your local running club? XFIT BRO tries fitness test and fails miserably. What is xfit actually good for? How much slower do you get from gaining weight? LRC Debate: After Berlin Who is the Distance Running GOAT – Kenenisa Bekele, Haile Gebrselassie or Mo Farah? The LRC “brains” may have reached a rare consensus. Five Teams Earn First-Place Votes in New DI Men’s National Poll A lot of movement as NAU jumped to the top, Syracuse moved down to 2nd and Oregon stays third. BYU’s rank went way up and Stanford way down. There’s A New No. 1 Team In The NCAA DI Women’s XC Poll Three teams got #1 votes as Providence moves to the top spot followed by Colorado and New Mexico. Daily Mail: “Greg Rutherford Blows The Judges Away As He Leapfrogs Dance Partner To Leap On Top Of The Leaderboard” (includes video) This after Rutherford had considered quitting the UK’s version of Dancing With The Stars because he was struggling to keep up with the other contestants. 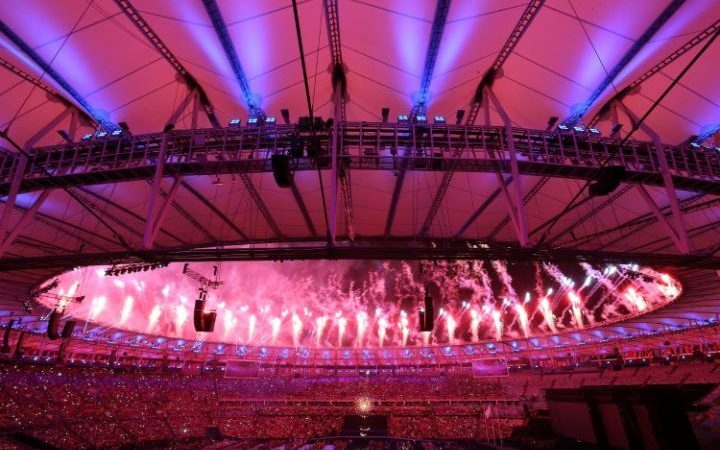 Slump In People Brits Playing The National Lottery Could Cost GB Athletes Funding Two thirds of funding for British Olympians comes from the lottery and for the first quarter of 2016, funds were down $205.9 million from 2015. GB Heptathlete Katarina Johnson-Thompson Splits With Her Long-Time Coach The 23-year-old has shown a lot of promise, but failed to produce at the big championships, only finishing 6th in Rio. Doping News: Will Track Make The Same Mistakes As Cycling? Thomas Bach Says Anti-Doping System Should Be More Transparent And Completely Independent From Sports Organizations With Testing And Sanctioning If that means independent from the IOC, which failed to ban Russia from Rio, then yes, we completely agree. Double Olympic Greek Medalist Denies Doping After Failing Beijing 2008 Retest The 2004 silver and 2008 bronze LJ medalist Hrysopiyi Devetzi retired in 2009 when she got a 2-year ban for refusing to submit a sample. IOC Medical Commission Chair Calls For More Government Funding For WADA He also called for an end to the fighting between the IOC and WADA saying that they both needed each other. Post-Berlin Kenenisa Bekele And Wilson Kipsang Running Form Analysis Bekele’s form might not look as smooth and “gliding” as Kipsang’s, but it gets the job done. Some Interesting Statistics From Berlin 2016 is now the deepest year for the men’s marathon in history as it’s a new record for the top 5 performance average (2:03:31) and top 10 (2:04:18). Renato CANOVA: congratulations for BEKELE! 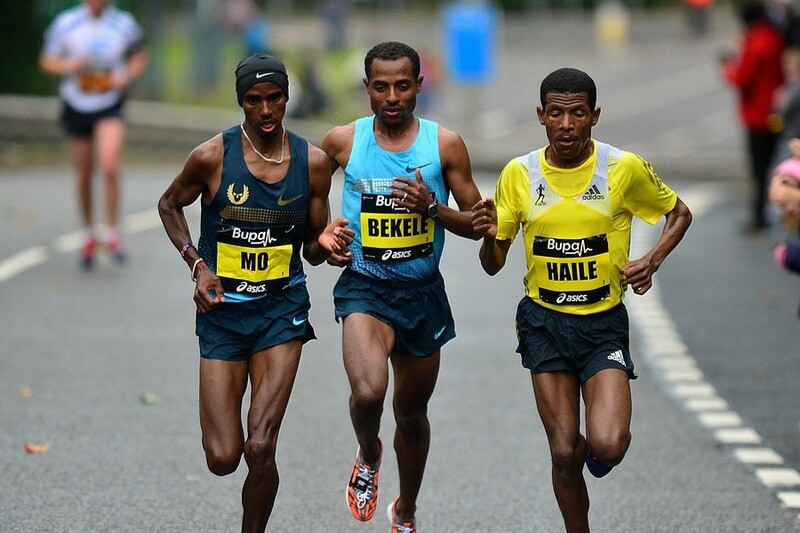 Has Bekele just legitimised his WRs? Clean? GOAT? Bekele/Kipsang cut a curb corner? Could Bekele/Kipchoge Push Sub 2? LRC Russian Hackers Release Galen Rupp And Shalane Flanagan Anti-Doping Data Rupp had three TUEs listed, all in 2009 for asthma/allergy medication. (Interestingly, Alberto Salazar has written that Rupp had 2 TUEs from 2010 onwards which weren’t in the hack). Flanagan had one, for an IV after being dehydrated at the Olympic Marathon Trials in February. Weightlifting Federation Not Happy With The Way IOC Has Handled Beijing 2008 And London 2012 Retests While 47 athletes were caught in retests, only nine have received sanctions so far. Oct. 2nd & 23rd: Tirunesh Dibaba Running Two More British Road Races This Fall At The Great Scottish Run Half And The Great South Run 10 Mile She’ll face Betsy Saina in the half next weekend. Russian Sprinter Yulia Chermoshanskaya Abandons Her CAS Appeal After Being Stripped Of Her 2008 4 X 100 Gold So much wasted time and money could be saved if athletes just owned up to their cheating. She didn’t confess, but at least she knew she was busted. WADA President Craig Reedie Urges National Federations To “Fulfil Obligations” To WADA Code By Not Awarding Russia Major Events Despite Russia’s non-compliance, the International Biathlon Union awarded them the 2021 World Championships. An Unplanned Race Delay At A New Jersey 5K Might Have Saved Runners From Harm After A Pipe Bomb Exploded On The Course If the race had started on time, runners would have been going right by the pipe bomb explosion. After a shootout with police, a man was arrested and charged for the bombing. Sad News: Colorado High School Runner Brandon Ries Collapses And Dies At XC Race The senior co-captain is fondly remembered by his coach and teammates. The cause of death is currently unknown. Canadian 20-Year-Old Pierce LePage Had A Big Decathlon Breakthrough At The Decastar Multi Event Meet Last Weekend The youngster set three PRs to lead going into the 1,500, but even another PR there couldn’t get him the overall win as he finished 3rd. First Impressions Q&A With Seven-Time Long Global Long Jump Champ Brittney Reese Not surprisingly for a jumper, Reese played basketball when she was young and wanted to be in the WNBA. Germany Takes Team Victory At Fly Europe Meet In Paris Five European countries, just three events (PV, LJ and the 40m sprint). Germany’s Kai Kazmirek And Carolin Schafer Are The Overall Winners Of The 2016 IAAF Combined Events Challenge USA’s/Brooks’s Jeremy Taiwo was 2nd in the series rankings. 2016 Diamond League Season In Review The IAAF runs down the defending champions, the “late surges,” intense duels and dominant newcomers. Track And The Olympics Might Be Done, But There’s Still A Lot Of Distance Action To Look Forward To In The Rest Of 2016 A season of road and XC races really gets going with Sunday’s Berlin Marathon. From Last Week: Olympic Medalists Renaud Lavillenie And Christophe Lemaitre Lead French Team To Victory At DecaNation It was their first win in 8 years at this event. There was a distance upset in the 2K, where Japan’s Masaki Toda beat out Mahiedine Mekhissi. 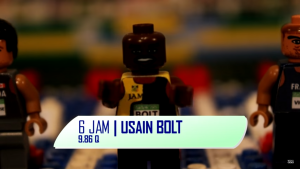 Video: The Men’s Olympic 100m Final In Legos A whole new way to watch Bolt dominate. 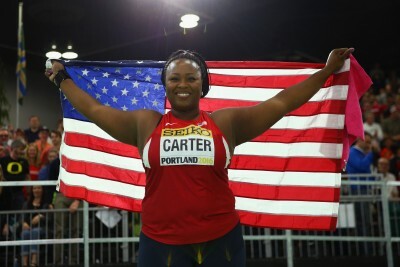 Elaine Thompson And Nesta Carter Getting Roads Named For Them In Their Hometowns The article mentions Carter’s 2008 4 x 100 gold, but will he get to keep that? Britain’s Former World Indoor 400m Champ Jamie Baulch Thinks Wayde van Niekerk’s WR Is Better Than Usain Bolt’s However, according to the IAAF Scoring Tables and also decathlon scoring tables, Bolt’s records are better. WTW The Kenyans Are Really Good At The Half Marathon, The Paralympics Come To An End, Drama At The World Triathlon Champs, Slow Times At The Philly Half, And Usain Bolt Gives Up On The 200? This week we try to figure out why Kenyans are way better at the half marathon than the marathon, point out that the US road 5k champs were won in a time that was slower than the 5k split of a European half marathon, learn that it’s better (from a performance perspective) to be a double amputee than single amputee in the Paralympics, and wonder if fast times will ever return to the Rock ‘n’ Roll Philadelphia Half Marathon. Recommended Watch Alistair Brownlee CARRIES Exhausted Brother Jonny Over Line In World Triathlon Series This is for everyone who thinks waiting for a fallen teammate (Rupp) or picking up a tripped competitor (D’Agostino) is some unprecedented action. 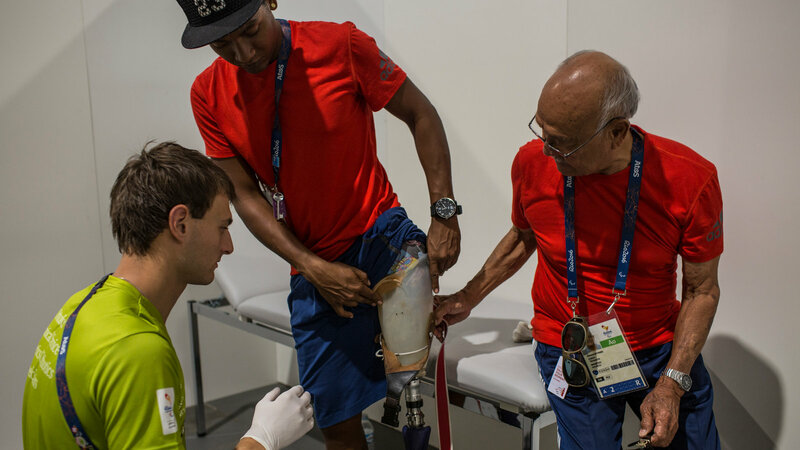 Blade Technology Is So Good At Paralympics That Single Amputees Are Now Wishing They Were Double Amputees The top 6 finishers at the Paralympics were all double amputees. LRC Battle In Beantown: No. 3 Providence Women Roll; Unranked Dartmouth Men Upset No. 20 Providence And Shorthanded No. 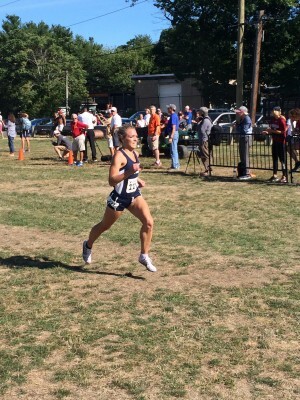 6 Arkansas At the Coast-to-Coast Battle in Beantown, Arkansas’ Alex George (24:09) and UNH’s Elinor Purrier (17:06) claimed the individual wins at Franklin Park. We also ran into Molly Huddle, who updated us on the early stages of her NYC Marathon training. Princeton Men And Yale Women Dominate HYP Meet Rojo and Wejo‘s alma maters both pick up bragging rights. 2012 Olympian Julie Culley Named Interim Director Of T&F/XC At Georgetown She’s been an assistant coach for the last 2 years. Tatyana McFadden Powers To Her 3rd Gold Of 2016 Paralympics She won the 800 in 1:44.73. 6-Time Gold Medalist David Weir Says He “Let The Country Down” With His Rio Paralympics Performance He had an awful Olympics as he failed to medal and also missed the birth of his 4th child. 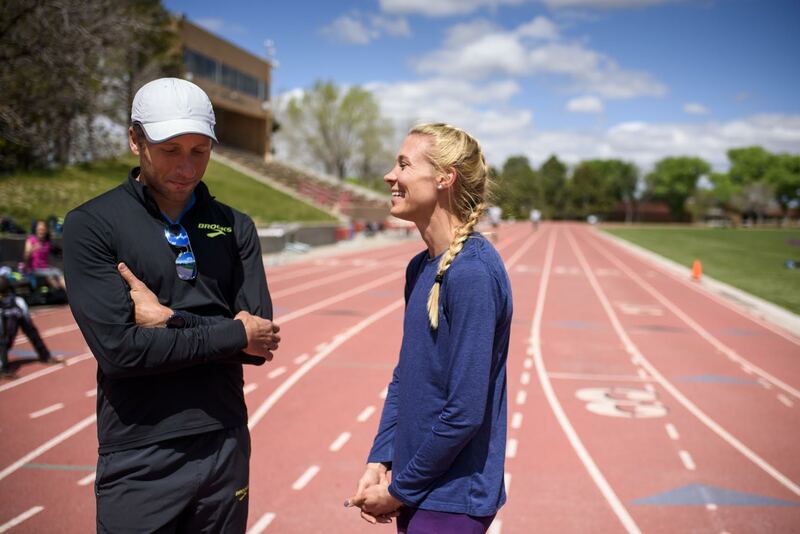 Recommended Read: Danny Mackey Blogs: “4 Rules For Coaching Your Spouse” The Brooks Beasts coach tells the story of how he at first reluctantly became the coach for his wife, Katie Mackey, and what tactics they’ve used to make the “not simple” arrangement work. Q&A: Emma Coburn Wants To Continue Her Career As Long As Possible (2024 And Possibly Beyond) And Says A Marathon Is Not “On Her Bucket List” Coburn’s first sporting idols were the 1980 US Olympic gold medal hockey team as she used to be a hockey player. Two-Part Podcast Interview With Marathoner Nick Arciniaga Arciniaga talks about his journey from average college runner to 2:11 marathoner and the mental side of running. Some quotes are transcribed here. Bedan Karoki Faces A Field Of 14 Sub One-Hour Men At The Copenhagen Half Marathon The women’s race has nine sub-70 minute runners, led by Gladys Chesir (66:57 PR). Edwin Kiptoo Looks To Defend His Title At The Dam tot Damloop 10 Mile In Amsterdam Rio 10,000m 4th placer Alice Aprot is the favorite for the women. Sydney Marathon Preview: Mogos Shumay (61:09 Half PR) And Karolina Nadolska (2:26) Lead Fields Live stream Saturday @ 4PM ET. Shadrack Kemboi (2:11) And Megerta Ifa Geletu (2:29) Are the Favorites At The Sanlam Cape Town Marathon Kemboi faces Ukraine’s 9-time Euro XC Champ and 2:08 marathoner Sergey Lebid. October 2: Tirunesh Dibaba Will Headline Field At Great Scottish Run Half-Marathon She’ll face Betsy Saina, who is coming off a 5th-place finish in the Rio 10,000. LRC USA’s Mikey Brannigan Dominates 1,500m At Paralympic Games Brannigan ran like the boss in the Paralympic T20 1,500. US Sprinter Trell Kimmons Gets Two-Year Drug Suspension For Failing A Test At US Indoors For A Banned Stimulant Kimmons was member of the US 4 x 100 team that won silver at London 2012, but was later stripped of the medal for Tyson Gay‘s doping offence. Lance Armstrong Challenges Irish Journalist Paul Kimmage To Be The Chief Interviewer For His Appearance At A Dublin Conference Apparently Armstrong has agreed to talk openly about his career in an extended “no holds barred” interview, but in a terse twitter reply, Kimmage declined. Interesting OPed: Irish Independent Likens Armstrong To Mob Gangster From Movie “Goodfellas” They can hardly believe that he’s getting paid to come talk about his doping story. 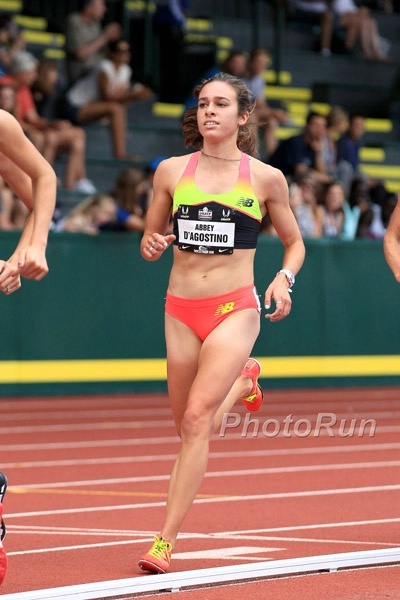 Latest IAAF Banned List Includes Russian Distance Runners Who Ran At The 2008 Olympics Irina Timofeeva, who was 7th in the 2008 women’s marathon, and steepler Ildar Minshin both got 2-year bans. 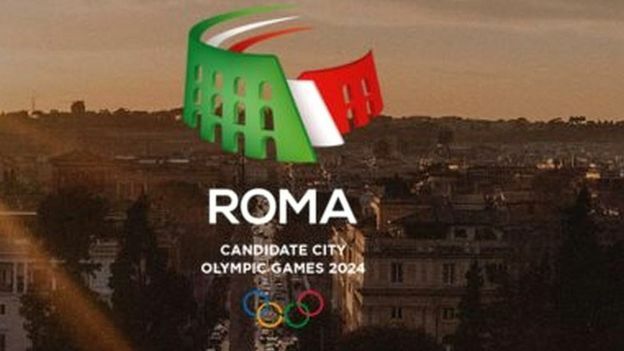 Rome 2024 Facing Final Axe As City Council Meets To Vote On Whether T0 Officially Back Mayor Virginia Raggi’s Decision Not To Support The Bid The motion during the meeting is widely expected to pass due to the fact that the mayor’s party has a majority on the City Council. Panorama Farms & Griak Shake Up New DI Men’s Regional Rankings Portland moved from 4th to first in the West region after their upset win at Roy Griak. NCAA Athletes Of The Week Are Syracuse’s Justyn Knight And Boise State’s Brenna Peloquin For Their Victories At Panorama Farms And Roy Griak Knight set a course record and Peloquin got a surprising win over Michigan’s Erin Finn. *MB: PORTLAND PILOTS WIN GRIAK!!!? Good Read: Diego Estrada Looking For Redemption After OT DNFs By Running Sub-2;10 In His Second Marathon Attempt At Chicago Next Month Article has some interesting insights, including a time Estrada accidentally did double the workout he was supposed to. 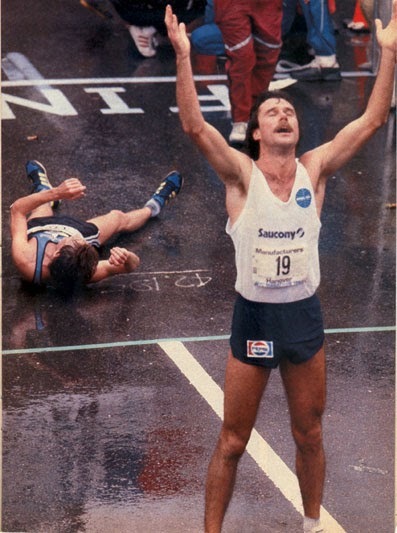 Recommended Read: Extensive Q&A With New Zealand’s New Zealand Olympic Legend Rod Dixon Dixon talks about running at three Olympic Games from the 1,500 to the marathon, this iconic finish photo and drinking beers with Steve Prefontaine. 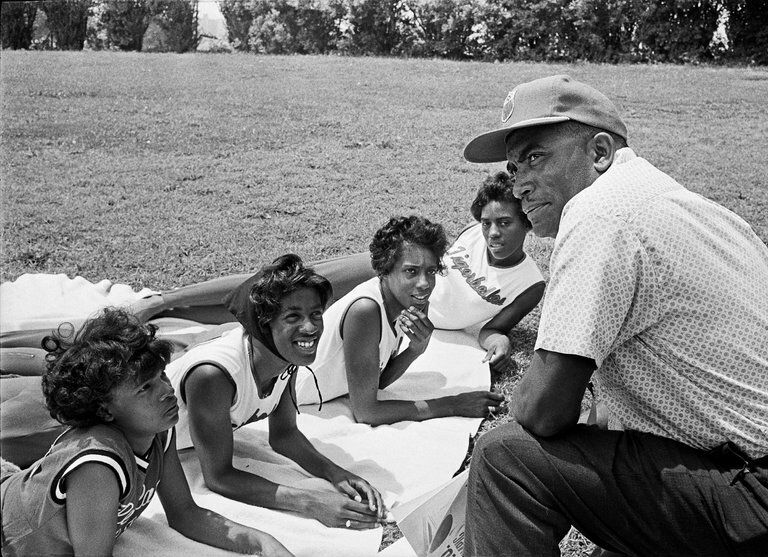 Legendary Tennessee State And Olympic Coach Ed Temple Has Died At 89 Temple helped break down racial and gender barriers in the sport and coached athletes to 13 Olympic gold medals, including Wilma Rudolph, who in 1960 became the first American woman to win three golds at a single Olympics. Good News: House Passes Bill To Give Olympic Medalists A Tax Break On The Prize Money They Got From The USOC Most Olympians and Paralympians are not millionaires and many compete for Team USA without any kind of endorsement. Talk Of Potential Lawsuit For “Damages” After Rome Mayor Pulls Plug On 2024 Olympic Bid Both the Rome 2024 organizers and Italian Olympic Committee reacted angrily after her announcement yesterday. The Telegraph OP-Ed: “Rome Was Right To End Its 2024 Bid” The age-old debate continues as to whether the Olympics helps or hurts a city’s economy. UK Mountain Running Champion Lauren Jeska Pleads Guilty In Attempted Murder Case She stabbed three British athletics staff members at a UK stadium earlier this year. What You Eat May Be Affecting How Your Sweat Smells Apparently a diet high in fruits and vegetables smells better than one high in carbs. However, if you go to a low carb diet, you’ll probably have bad breath so it’s a lose-lose. Spain’s World Triathlon Series Champion Mario Mola Claims Alistair Brownlee Knocked Off His Hat And Goggles During The Swim Mola is insinuating that Brownlee obstructed him to help his brother win the overall series title as he needed Mola to finish 5th or lower. Women LRC 2016 NCAA Women’s XC Top 10 Countdown: #2 Providence And #1 Colorado – Is #1 Colorado Wetmore’s Best Team Ever? Is #1 Colorado Mark Wetmore‘s best team ever? Men LRC 2016 NCAA Men’s XC Preview: #10 Washington And #9 Wisconsin After 43 straight NCAA appearances, the Badgers were absent in 2015 but they should back in a big way in 2016 thanks in part to a guy who ran 14:07 in HS on less than 40 mpw. Procrastinate Your Day Away With This Cross-Country Computer Game If you’ve got time to kill. New Mexico Women Stay Ranked #1 In National Coaches Poll Providence got some #1 votes and moved up to 2nd as Colorado is ranked 3rd. Fears Growing For Future Of Anti-Doping As IOC Members Consider Integrity Unit Which Would Marginalize WADA WADA supporters thinks this is a play by the IOC to punish WADA for recommending Russia be banned from Rio. *WADA President Craig Reedie Hits Back At IOC Suggestion That WADA Needs To Be Replaced Reedie said there was a “willingness to reinforce the independence and regulatory powers” of WADA rather than completely overhaul it. BBC: WADA Hacks Just The Latest “Symptom Of A Much Wider Crisis: The Erosion Of Faith In The Entire Anti-Doping System” It has been a rough year for fans of clean sport. 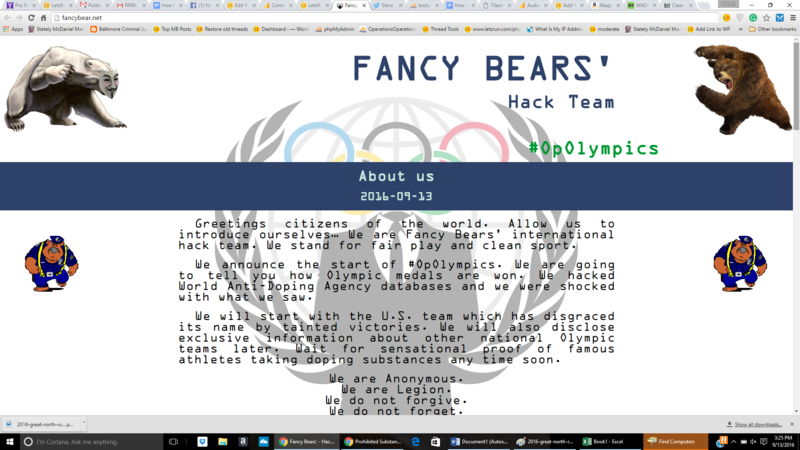 Writer From The Guardian Reminds Fans Not To Be Sucked In By Fancy Bear Hack’s Goal Of Lumping Athlete TUEs In With Russian Doping Scandal Nothing unveiled by the WADA hack has been anywhere near the level that the investigations in Russia discovered. 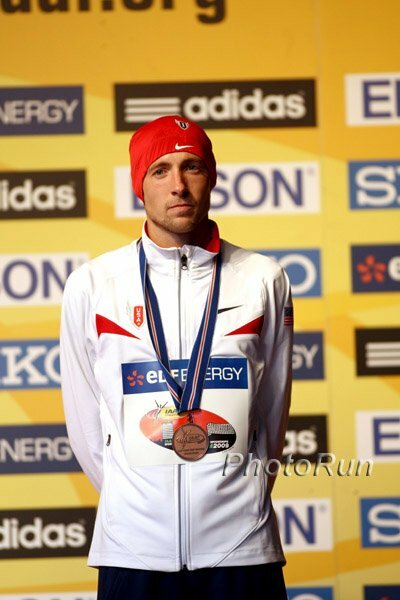 Doping Sample Of Banned Italian Racewalker Alex Schwazer Seized For DNA Tests Schwazer got an 8-year doping ban for his second doping offense, but claims his sample was sabotaged. 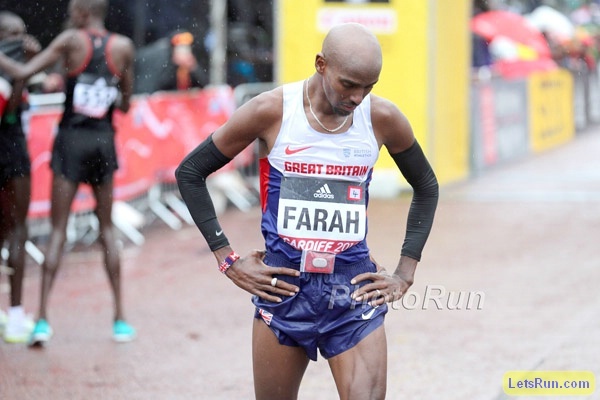 Mo Farah Has Medical Data Leaked By “Fancy Bears” Hackers Farah has only taken two TUEs according to WADA. Ebony Magazine Q&A With Allyson Felix In a candid interview, Felix discusses her career, overcoming challenges and despite being 30 years old, doesn’t rule out another Olympics. Usain Bolt First Episode In “Before They Were Superstars” Video Series Check out some clips of the 17-year-old version of Bolt. Richard McLaren’s Final Report On Russian Doping Is Still Several Months Away This one will be focused on winter sports and athletes. Saturday: Jordan McNamara And Heather Kampf Face Solid Fields As They Try To Defend Their Titles At The Pittsburgh GNC Live Well Liberty Mile Ben Blankenship is the star of the men’s race while Kampf faces a rematch with Emily Lipari, who beat her last weekend. *Bring Back The Mile Prediction Contest Win some free shoes from Running Warehouse. World Half Marathon Champion Peres Jepchirchir Returns To Mattoni Usti nad Labem Half Marathon Jepchirchir is the class of the field with a PR 3 minutes better than her main competition. The men’s race has four sub-60 minute runners. Kenyan 42-Year-Old Mariko Kipchumba Will Defend His Title At The Beijing Marathon The masters runner has a 2:06 PR and won here last year in 2:11:00. 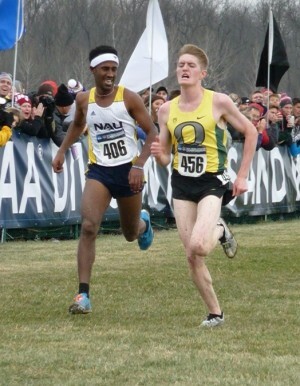 He faces a field with seven other sub-2:10 runners. Former Paris Marathon winner Meseret Mengistu (2:23:25) leads women’s race. October 30: Former World Bronze Medalist Tadesse Tola (2:04:49 PR), Lani Rutto (2:06:34) And Former Paris Champ Mark Korir (2:05:49) Headline Frankfurt Marathon Field Former world 10,000 bronze medalist Moses Masai is also in the race. The women’s field is lead by world half champ Peres Jepchirchir and 2:21 woman Mamitu Daska. Russian Javelin Thrower Maria Abakumova Stripped Of Her 2008 Olympic Silver Medal Following Doping Re-Tests Russia’s men’s 4 x 400 team will also lose their 2008 bronze after team member Denis Alexeev re-tested positive. Adding to the Russian doper list are 2008 10K 8th placer Inga Abitova and a cyclist. Out of the 18 named so far in re-tests, 10 have been Russian. Appeals Of 94 Russian Athletes Against Rio Paralympic Ban Rejected By German Court They will now appeal to Germany’s Federal Constitutional Court, but with only 5 days left in the Paralympics, there isn’t much point. Russia To Still Host World Curling Championships Despite McLaren Report Doping Allegations The IAAF took events away from Russia, but other sports seem reluctant to. Recommended Watch: The Japanese Commentary For The Rio Men’s 4 X 100 Was “Gloriously Passionate” You don’t need to know the language to be able to tell they were psyched about Japan’s silver. Wayde Van Niekerk Voted South African Athlete Of The Year If winning Olympic gold and breaking a WR from lane 8 didn’t do it, it’s hard to fathom what would. IAAF First Impressions Q&A With St. Lucian High Jumper Levern Spencer The first movie that made the Olympics 6th placer cry was Titanic. 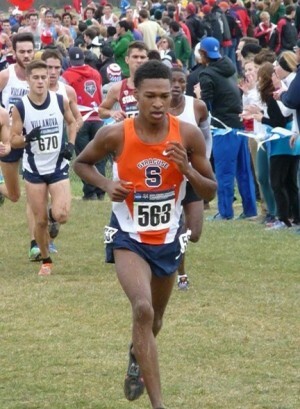 LRC 2016 NCAA Men’s XC Preview: Syracuse #1 In The Nation, Could Be Challenged By #2 Stanford, #3 Oregon, #4 Georgetown We break down the top teams in the country. The front three teams are all stacked. LRC More Previews: #5 Iona, #6 Arkansas, #7 NAU, #8 Colorado Colorado could do much better if it doesn’t redshirt its freshman. *Previous LRC XC Previews: The Colorado women are our #1. Hayward Field Renovations Delayed By A Year Due to a late cell tower construction project, the construction that was supposed to start this fall won’t start until next summer. This opens up the track for additional events this spring. Oregon Shot Put Record Holder Brittany Mann Transferring To USC For Her Final Season She graduated in June and wants a masters program not offered at Oregon. MB: #12 BYU men shock #1 Syracuse at Panorama Farms Invite Justyn Knight got the course record, but Syracuse’s Joel Hubbard DNFed, costing them the team win. Good Read: GoStanford Talks To Coach Chris Miltenberg, Who Has Big Expectations For This Year’s Team They were hurt by injuries last year, but with Sean McGorty and Grant Fisher leading the way, they want to be in the hunt for a team title. LRC Usain Bolt On Whether Or Not He Could Break Five Minutes In The Mile: “Of course! 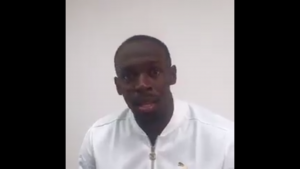 I’m not that bad.” Bolt was super confident about it, laughing at the suggestion he couldn’t run faster than 5 minutes and cites his 2:07 800m PR. 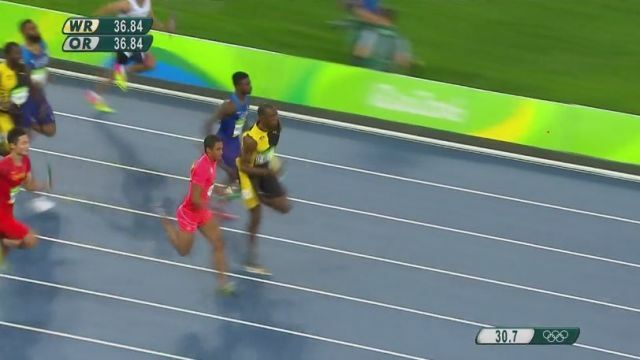 *MB: Usain Bolt runs a 2:07 800m. Can he break 5? Tyson Gay Sits Out US Bobsled National Push Championships As London Olympics 100m 5th Placer Ryan Bailey Wins Gay didn’t feel ready as he’s only pushed a sled ten times. 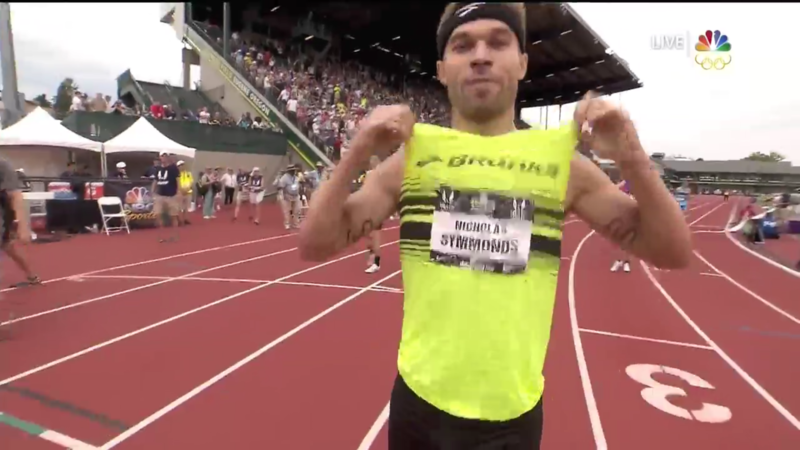 Good Video Q&A With Nick Symmonds After pulling out of the Trials with injury, Symmonds said there was a possibility of retirement, but he says “most likely” he’ll still be competing for a Worlds spot in 2017. North Face Ultramarathon Challenge Series Sets New Standard Against Doping In Trail Running With Policy Excluding Past Drug Cheats From Awards If you’ve ever served a ban, you can run, but not win awards/prize money. The problem is though that testing is almost nonexistent in the ultra world. Jo Pavey Wins Kew Gardens 10K Road Race Over Charlotte Purdue Chris Thompson won the men’s race in a sprint finish with Scott Overall. RRW Ryan Hill (With A Kick) And Aliphine Tuliamuk (Thanks To A 4:43 Opening Mile) Win USATF 5k Champs At CVS Downtown 5k In Providence Jordan Hasay 3rd. 2016 GNC Live Well Liberty Miles Ben Blankenship (4:02) And Heather Kampf (4:33) Win $30,000 was handed out to American runners. World Jr. Triathlon Champs Missouri HS Sr & 9:03 3,200 Runner Austin Hindman Wins The World Junior Triathlon Title The girl’s winner was Taylor Knibb, who is a freshman at Cornell. She’ll be running xc for the Big Red this fall. 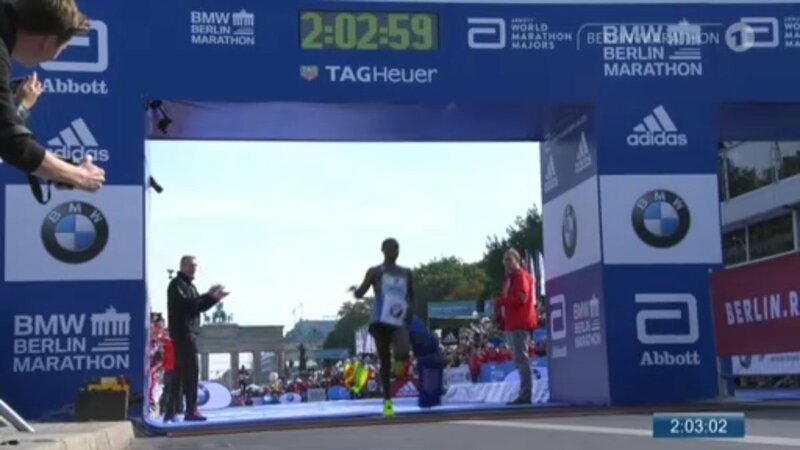 Copenhagen Half: 22-Year-Old Kenyan James Mwangi Wangari Runs #2 Half Marathon Time Of Year – 59:07 – To Win In Copenhagen Ethiopia’s Hiwot Gebrekidan Gebremaryam, a 21-year-old who ran a 2:34 marathon debut in Dubai this year, won the women’s race in 68:00. Cape Town Marathon: Ethiopia’s Asefa Negewo Sets South African All-Comers Record By Winning Sanlam Cape Town marathon in 2:08:42 The previous fasteset in SA was 2:09;50. The women’s race was won in just 2:36:13. Sydney Marathon Tomohiro Tanigawa (2:12:13) And Makda Harun (2:32:22) Win Blackmores Sydney Marathon The men’s winner came on late to win, whereas the women’s winner led from start to finish. Multis: Oleksiy Kasyanov Of Ukraine (8077) And Nadine Broersen Of The Netherlands (6377) Win Decathlon And Heptathlon Competitions At The Talence Decastar Both competitions were won by less than 10 points. Interesting Link: Read All 293 Q&As That Have Been Featured In Track And Field News Since 1973 Pretty cool link. You can read all 3,868 that LetsRun.com has on YouTube here. Fascinating Scientific Study: How Much Do Heavy Shoes Slow You Down? Every 100 grams hurts you by .78% but cushioning helps you by 3-4%. Mo Farah Might Be One Of The Next Athletes To Have His TUE Information Leaked, But He Isn’t Worried Farah says he’s only ever had one TUE (a drip when he collapsed in Park City, Utah in 2014), but revealed he uses an inhaler for asthma which he was prescribed in 2009 and swapped to a different one after moving to Alberto Salazar. Richard McLaren Believes TUEs Are Open To Abuse And Specifically Names ADHD Medication As A Possible Offender McLaren also criticizes the IOC reaction (or non-reaction) to his report and contrasts how the IPC immediately contacted him while he’s never heard anything from top IOC officials. GB’s Former Tour De France Winner Bradley Wiggins Allegedly Caught Lying In His Autobiography In his autobiography, he says he’s “never had an injection” besides vaccinations, but his data shows at least three, all shortly before some of his biggest races. Hear! Hear! 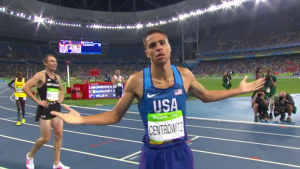 Canadian Paralympic Runner Guillaume Ouellet Calls Out Media For Out Of Context Headlines Which Made It Sound Like The 1,500 Paralympians Were Better Than The Olympians When the paralympic 1,500 was won faster than Matt Centrowitz‘s gold medal time, many media outlets had headlines implying that their performance was at a higher level than Centro’s tactical win. NYRR Settles In Lawsuit Over Lottery Entry Fees They will pay out $2.1 million in credits to runners who payed a lottery fee and the race drawing will be free for the next 3 years, although entry fees are going up to $295.